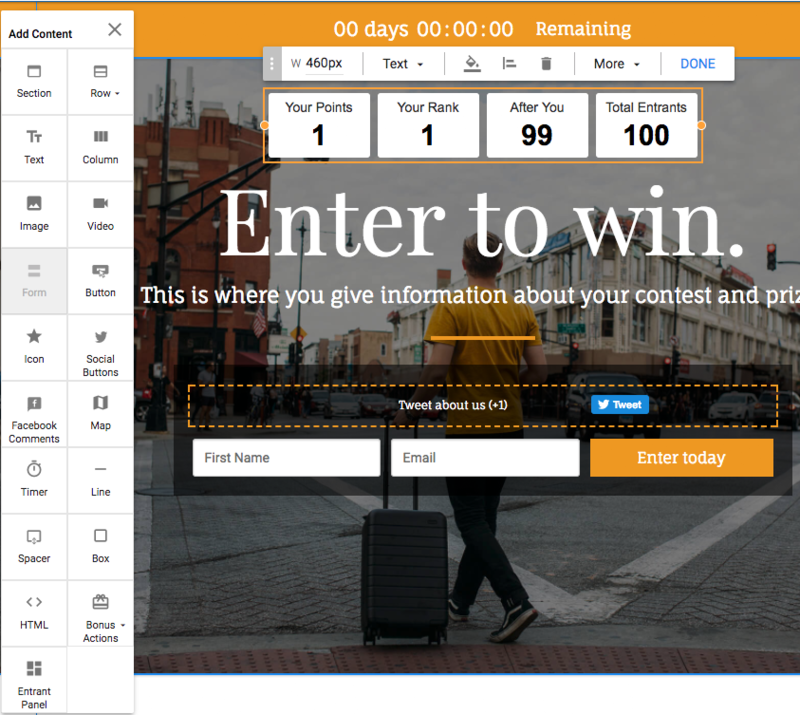 The entrant panel on Bonus Entry Sweepstake Contest displays the number of points a user has when visiting the campaign page. To add this to your campaign drag the 'Entrant Panel' on the landing page editor. Hovering over the panel click on 'More' in the toolbar that appears. You can change the layout, the information that is displayed and choose to display the entry/points for the current campaign or a different campaign.